This is from the Costco MARCH / APRIL 2019 Coupon Book (3/13/19 – 4/7/19) . This vacuum has an advanced self-adjusting cleaner head that automatically adjusts between carpets and hard floors. 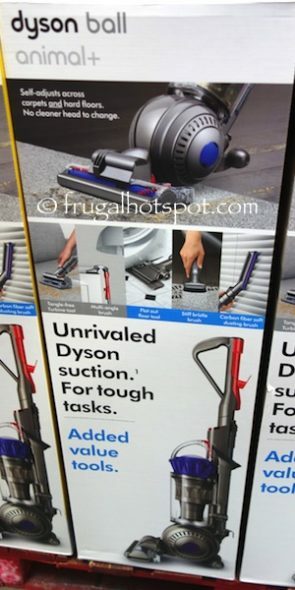 Costco has the Dyson Ball Animal+ Upright Vacuum on sale for $239.99 (after instant savings), from March 13, 2019 through April 7, 2019. That is only $60 off Costco’s new lower regular price of $299.99. While supplies last. Item #2990603. • Hygienic bin emptying – just push the button to release the dirt. • 5-Year Warranty covers parts and labor, plus free shipping there and back.